Lack of sleep, intense dreams or nightmares. Many of the posts in the comments complain of low energy and many dreams that they don’t usually have. Some stated that they thought it was just stress from the hurricane hitting the eastern areas and all the fires in the west. That too, may be a factor. When we watch the news, read newspapers or follow our Facebook feeds, some things can just be too much. My advice is to take it slow. Once you start feeling overwhelmed, turn it all off for a bit. Take a break. The experts advise us to stay hydrated and rest when ever possible. I shared the post and was shocked how many people commented that they were having these same symptoms. I suffer from migraine often but I have really been feeling “off” with the last batch. I keep waking up at 3 a.m. for no apparent reason and I am having tons of dreams. I am a regular dreamer but they have escalated. If has been a rough week. I am not sure if it is the solar activity or life around me, but I would very much like it to stop. 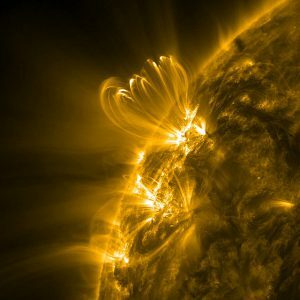 For me, I have decided that I will start paying a little more attention to solar flares and such. I have heard they can disrupt our cell service but forgot how much it can affect our actual bodies. I did a bit of an online search on monitoring solar storms. Take your pick. Wow. I had no idea how much information was out there on the subject. Good information. If you are one that feels these things, you might also start reviewing activity online and possibly journaling what is happening to you. With the journals you can also share the information with your health care provider if necessary.